See to it that your establishment can weather natural wear and tear from the environment and from your customers and employees coming and going.Your business’s physical infrastructure benefits from our commercial masonry repair, restoration and construction work. 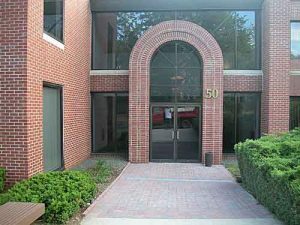 Entrust your building to an outstanding commercial masonry contractor in Connecticut. We have decades of experience in masonry work and we attendregular trainings to stay up to date on all industry developments. We offer commercial masonry services for boutiques, offices, restaurants, workshops, warehouses, clinics and other types of businesses. Discuss your construction or renovation plans with our team and we’ll give you our recommendations to improve your building’s facade. Earn the public’s approval and your customers’ loyalty by providing amenities that increase their comfort. Invest in parking lot maintenance and paved pathways so it will be easy for your customers to get to your business, whether they’re driving or walking. Provide wheelchair-accessible ramps and pathways to accommodate customers with disabilities. Maintain the outdoor aesthetics that increase the curb appeal of your establishment, such as low brick walls that double as benches and fountains. We work fast, but never compromise the quality of our output. It’s why business owners choose us as their commercial masonry contractor in Connecticut. We finish our work on time, so we don’t interrupt business operations any more than necessary. Contact Creative Masonry with confidence! Our highly skilled masons will finish your commercial project on time, on budget and with beautiful results. We have over 20 years of experience working with all types of masonry materials—We can build your structure with these or other masonry materials of your choosing: Brick, Stone, Blocks, Marble, Granite, Stucco, and Cement. Achieve the exterior or interior features you envision for your business with help from Creative Masonry & Chimney. We employ OSHA-certified masons whose skills have long impressed clients all over Connecticut. Learn more about our commercial masonry repairs and other services.